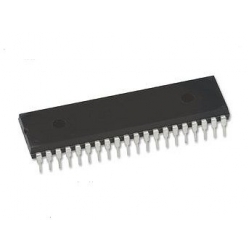 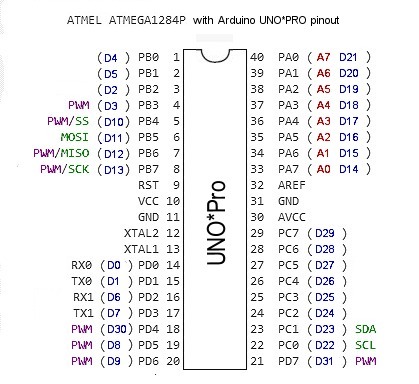 Along with our Arduino UNO*Pro Upgrade board we now have the ATmega1284P 40-pin DIL IC with the Arduino Bootloader installed. 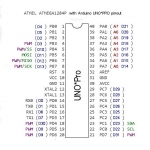 Please check out the details for Arduino Library support and how to add the UNO*Pro chip to the Arduino IDE on the UNO*Pro Upgrade board page. 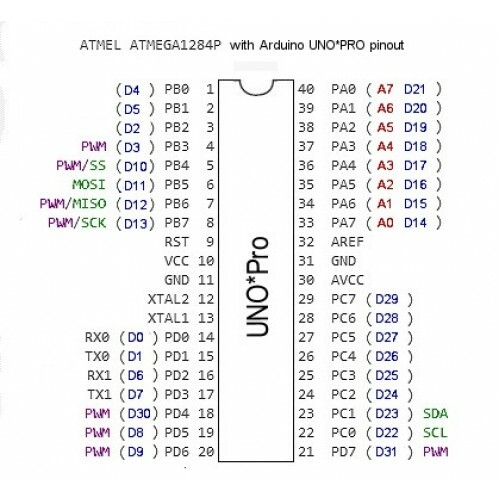 Programming is done through a serial connection using RX0 and TX0.